UK Home Secretary Sajid Javid has slammed what he described as "middle class drug users" for fuelling the knife crime crisis that has plagued London. During a speech to an audience of youth workers and senior police officers in east London on Monday, April 15, Javid pointed to the drugs trade as the primary cause behind ongoing gang violence tormenting London's streets. Projecting a personal tone, Mr. Javid said that he "could have turned to a life of crime" himself as a young man growing up in London. "I grew up on what one tabloid dubbed Britain's most dangerous street. It's not so difficult to see how, instead of being in cabinet, I could have turned out to have a life of crime myself. Pupils at my school were shoplifting and asked me if I wanted to help," the Home Secretary said. "There were drug addicts who stood near my school gates and told me if I joined in I could make some easy money. But I was lucky, I had loving and supportive parents who, despite my own circumstances, gave me the security that I needed," Mr Javid added. Mr Javid's speech comes at a time when the British public's anxiety about crime is reportedly at its highest level since 2011. During the speech, the Home Secretary laid out his plans to try and tackle the British capital's surging knife crime epidemic, saying that his steps will include efforts to tackle the leisurely use of drugs by middle-class users. "They [middle class users] may never set foot in a deprived area. They may never see an act of serious violence, but their illicit habits are adding fuel to the fire that is engulfing our communities," he said. Yet, in a move that is likely to arouse the frustration of activist groups, Mr. Javid elaborated that as part of his policy to tackling gang violence, he intends to ensure that police are given extra powers to stop and search people on the streets who are suspected of carrying a concealed knife. Activist groups often argue that the policy disproportionately effects black people, while others champion it as a necessary preemptive policy in the war on knife crime. 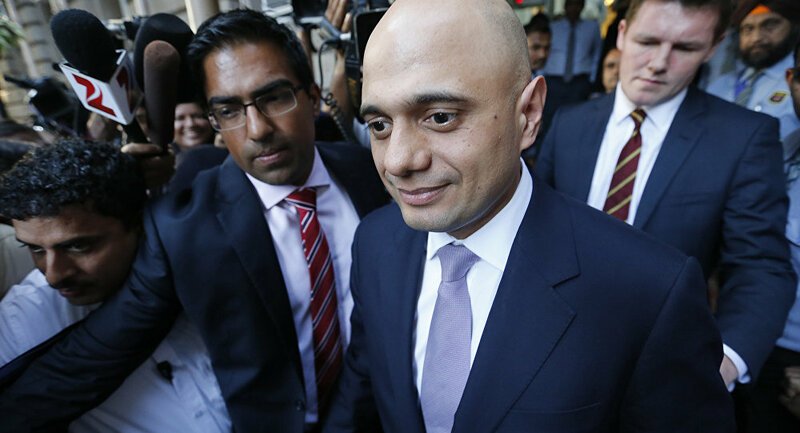 Alluding to concerns about racial profiling, Mr. Javid said: "I know this is not universally welcomed. There's concern that BAME communities will be affected disproportionately. But we must also acknowledge that the violence disproportionately impacts BAME communities too." Earlier this year a spate of fatal stabbings prompted warnings of a "national emergency". There were 285 homicides where the method of killing was by a knife or sharp instrument in England and Wales in 2017/18 — the highest number since records started in 1946.